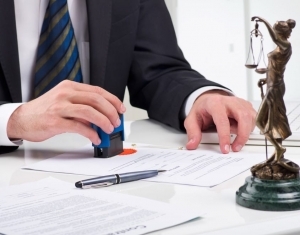 What Should You Do If Your Mortgage Renewal Is Denied? Nothing good lasts forever. 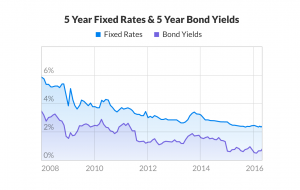 If you got a great mortgage rate locked in for a term, you’ll have to get a new one eventually. On the bright side, if you got a not-so-great mortgage rate, you’ll eventually be free of that too. You can break most mortgages at any time so long as you don’t mind paying the early payment penalty, which can range from 3 months’ interest to a percentage of the mortgage value. Otherwise, your mortgage will automatically end on your maturity date – that’s the date your term is over. If you got a 5-year mortgage term, your mortgage would mature 5 years from the day you signed. But when your term matures, you aren’t done with your mortgage. You could have anywhere from 1 to 25 years remaining on your total mortgage, depending on how long you made your amortization. At maturity, you’ll have to either pay off your mortgage in full or get a new mortgage term. Getting a new mortgage term for an existing mortgage is called mortgage renewal. In most cases, your current lender will send you a letter a few months before your renewal date asking you to sign a renewal agreement. But in some extremely rare cases, you may find that your mortgage renewal is denied? Why is that - and what should you do? First of all: don’t panic! Just because one lender doesn’t want to renew your mortgage doesn’t mean that no lender will. It’s simply a matter of connecting with the lender that will help you. That’s why we recommend talking with a mortgage broker as soon as possible. We always recommend talking to a mortgage broker for anything mortgage-related, but it’s especially important to talk to a broker after your mortgage renewal is denied. If you shop for mortgages yourself, you have to approach each lender individually to see if you would qualify. This is not only time consuming, but could also hurt your credit. Making a large number of credit inquiries will cause your score to drop – in turn that will make it harder to qualify for a mortgage. You’ll also have to rely on your own knowledge of mortgage lenders. Despite their best efforts, smaller mortgage lenders have a hard time getting their name out because of smaller advertising budgets when compared to the Big Five banks. There are many reputable smaller lenders that have better products than their larger counterparts, but are harder to find. A mortgage broker not only knows these smaller lenders, but can structure your file in a way that will get approved. They also won’t run your credit at places that are likely to deny your application, preserving your score. 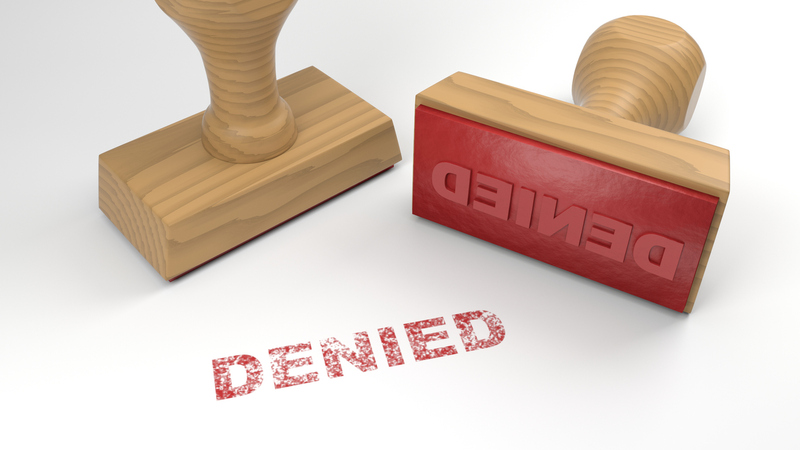 Why Would a Mortgage Renewal Be Denied? Now that you know what to do in case your renewal is denied, you may want to know why it happened in the first place. In every instance, a mortgage lender denies a renewal only if they think that there is no chance for the mortgagor (you) to pay them back. Denying a mortgage renewal is an extreme response to a drastic change in the credit score or financial situation of the borrower. Remember, lenders would prefer you to keep your mortgage with them so that they can earn interest. The last thing they want is for you not to make payments. You should start mortgage shopping 4 months before your renewal date. 4 months is the perfect time because many lenders will let you do a rate hold for a maximum of 120 days, letting you ride out the rest of your term and avoid any pre-payment penalties while also making sure you lock in a rate. Shopping before your renewal gives you time to go over your options and see what deals are out there. It’s very unlikely that the renewal contract your current lender sends you is the best mortgage rate available. It always pays to see what else is out there. One reason you may be denied by a new lender is the stress test. The new laws state that you have to qualify at a rate that’s 2 per cent higher than your contracted rate, or the current benchmark rate (5.34% as of writing) – whichever is higher. If you aren’t able to pass the stress test, lenders are not legally allowed to give you a mortgage. You might be able to afford your current rate just fine, but if rates were to rise you could be in trouble. You don’t have to pass the stress test if you’re renewing with your current lender. If you aren’t able to get a better rate by switching lenders at renewal, then you can fall back on your current lender. But it’s better to know for sure if you can get a better rate somewhere else first. Very rarely you’ll be denied a renewal by your current lender, as you generally don’t have to re-qualify for a mortgage at the same institution. 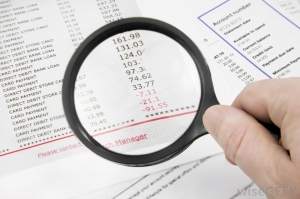 Denials by your current lender are usually caused by missing monthly payments. You should always make sure to pay all of your monthly bills on time, but if you miss one mortgage payment you likely won’t be denied a renewal. It’s only when you have a pattern of missing payments that your lender will take action. Another reason they might deny your renewal is they are aware of a drastic change in your financial situation that would impact your ability to repay your mortgage. While lenders won’t force you to take the stress test at renewal time, they’ll check your credit just to make sure you’re in a position to pay them back. If they learn that you score has dramatically decreased, they can decide to refuse your renewal.